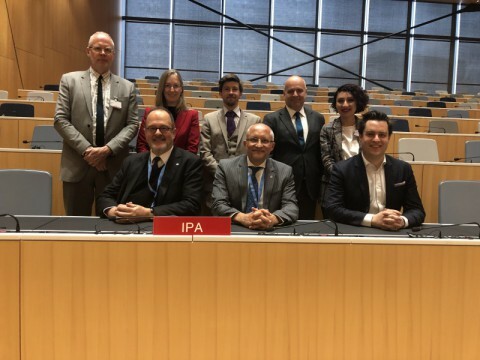 Wednesday morning, before the start of the WIPO plenary session, IPA had two important meetings. Firstly, we were invited to take part in a regular briefing that the US delegation offers particular stakeholders at every SCCR. Secondly, IPA then met with the Asia-Pacific Group which includes Members States from a huge swathe of territory from the Middle East to islands in the Pacific. In a friendly meeting, we asked if there were reviews of copyright on the horizon among their members. We discussed the upcoming WIPO regional conferences (the first of which, will be at the end of April, in Singapore) as well as various other events and projects within their borders. These types of meetings are very important to ascertain current positions and plumb possible future shifts.